The Global Forum at I-House hosted a discussion titled, “Southeast Asia: Democracy, Development and Economic Crises” on Monday, Feb. 9. 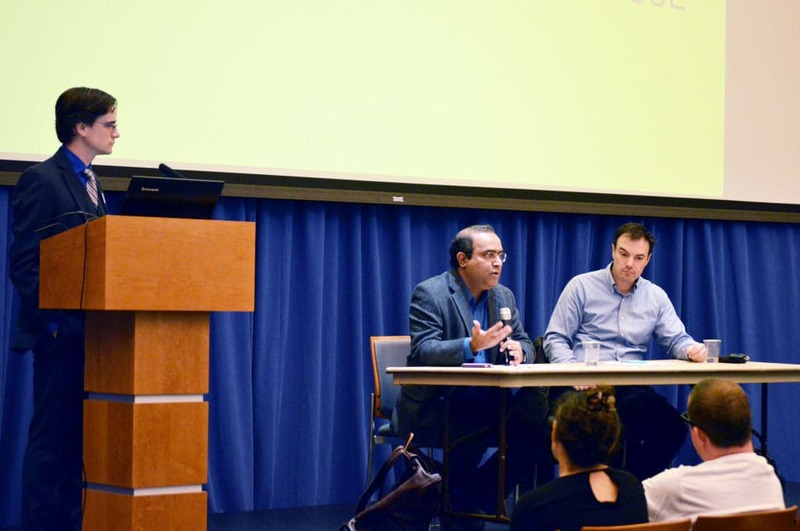 During the talk, professors Richard Carney and Terence Gomez examined what led to the Asian Financial Crisis of 1997 and the effect it had on Southeast Asian countries. Gomez began by posing the question, “Why is it that things have not changed since that significant event in 1997?” In order to explore this question he introduced two models of growth: the Neoliberal Model and the Developmental State Model. According to Gomez, the defining characteristic of the Developmental State Model is that it calls for substantial state intervention in the economy. “Thirty years after World War II, Japan’s economy emerged as the second largest in the world, second only to the United States,” Gomez noted. Japan was the first country to use the Developmental State Model and exemplifies its characteristics. South Korea and Taiwan were the second generation of states to use this model and greater Southeast Asia the third. Gomez continued by explaining the different systems in each country. He stated that the cause of the difference between the systems used in each country was largely political. “The thing we must remember about these countries is that they didn’t have a similar political system,” Gomez pointed out. Gomez also discussed the emergence of neoliberalism in the 1970s, the rise of the stock market privatization of industry, decrease in regulation and the subsequent increase in corruption. Carney began his segment of the discussion with a graph of global regime changes throughout the world from 1950 to 2006. He identified the rise of dominant-party regimes since 1995 until now. Carney put forth the argument that one-party regimes have two particular attributes that help them retain stability in the presence of a highly globalized world. The two attributes that he cited are the possession of few veto points, which means a state can easily acquire firms and quickly allocate funds in a crisis, and comprehensive institution, which spreads risk and raises revenue in a crisis. He noted that Malaysia and Singapore, the only two countries in the region with one-party regimes, have the highest level of state-owned companies and weathered the financial collapse of 2008 intact. He cited the Philippines and Malaysia to demonstrate the varying impact the 2008 collapse had on two different types of regimes. When the Asian Financial Crisis hit, the Philippines, a democracy, decreased the number of state-owned companies, whereas in Malaysia, that number increased. The discussion closed with a short Q&A session.